14 Şubat 2019 Perşembe 10:00 - 6 reads. Wuustwezel-belgium Johan De Jaegher (46), married and father of two and owner and chef of Il Divino di Milano in Gooreind has suddenly died. 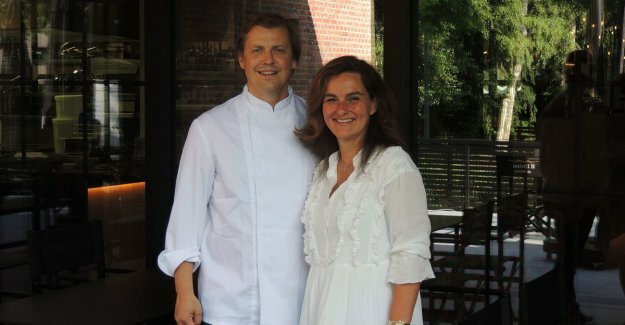 The forty-something opened together with his wife Sylvie Aernouts little over a year ago restaurant Il Divino di Milano in the old presbytery in the Theo Verellenlaan in Gooreind. The team wants to Johans dream to continue. The case was immediately enormously successful, and elicited nothing but praise comments. A year after the opening, they knew even a score of no less than 13,5 20 in Gault & Millau. “We are very proud with this result. We had of course hoped for because we are very, very many positive comments received. We had just on an entry or the lowest score hoped for. Now pick up all of a sudden we 13,5 20. That gives us the strength to continue-and especially the customers even more far - getting used to” was less than a year ago. The funeral of Johan De Jaegher is on the 23rd of February at 10 pm in the Sint-Jozefkerk in Gooreind.